I asked my parents what treats they’d like me to whip up one Friday, since I was coming home that weekend (I live about 3 hours away from them). They know better than to just say “whatever you make is fine” and gave me some perfect requests. “Something shortbread-ish or muffins” was Mom’s request and “something to go with Hawaiian coffee” was Dad’s request. I honestly love these kind of requests. They’re vague enough where I can play around in the kitchen a bit but specific enough to narrow my experiments. Mom and Dad eat pretty healthy and love homemade treats. 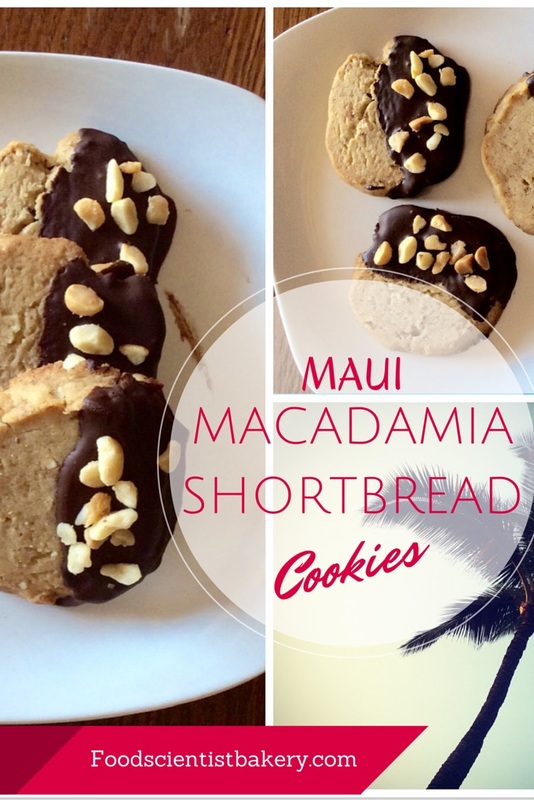 We had all been to Maui in January, so these cookies were a hit! Beat butter until smooth. Mix in flour and sugar until dough forms. Gather dough together and form into a log. Cover with plastic wrap. Refrigerate for 30 minutes or freeze for 15 minutes. Preheat oven to 300°F. Once dough is hardened, remove plastic wrap and cut ½ inch slices. Transfer slices to baking sheet covered in parchment or silpat. Bake until shortbread is pale golden, about 12-14 minutes. Let cool 5 minutes on pan and then let cool completely on wire rack. Don’t throw away the parchment paper (if using) on the cookie sheet just yet. 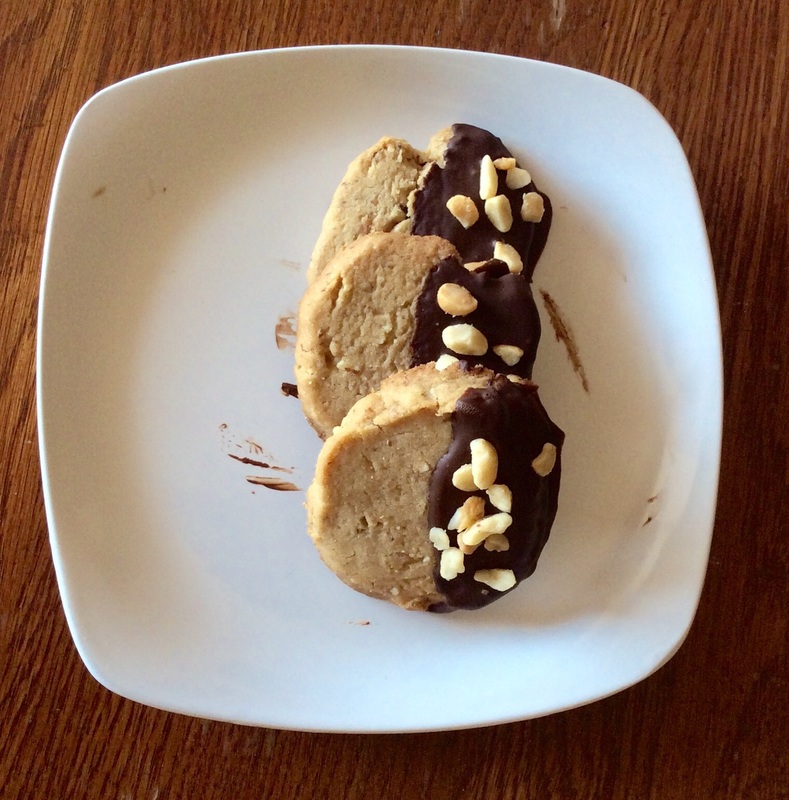 Dip cooled cookie into chocolate and place on the silpat or parchment paper. Sprinkle with nuts. Repeat with all the cookies if desired (I left some plain) and place in freezer for 15 minutes to harden. Remove and enjoy! These can be stored in the fridge or out, depending on the room temperature and how you like your chocolate. *I buy vanilla beans on Amazon. Once I scrape the seeds into a recipe, I save the bean pod and put it in my sugar jar. The result is heavenly-smelling sugar! But using regular sugar is fine. 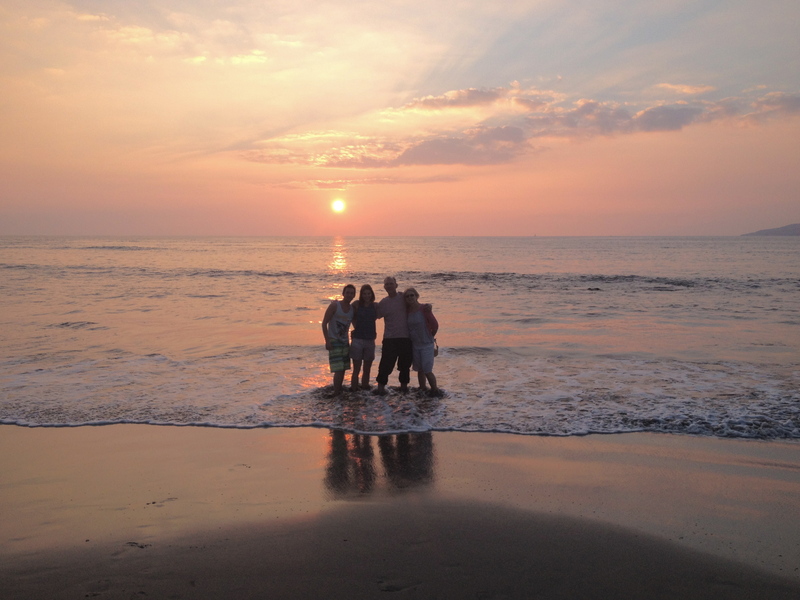 Great memories made in Maui!